We are happy to announce that Blurb is offering 15% off any book order with promo code 15OFFBOOK. 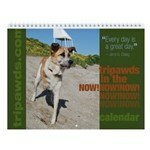 Save on Tripawd Heroes books and weekly planners! Got an amazing Tripawd story to share? Have us personalize a copy of Tripawd Heroes featuring your pup, then use Blurb coupon code 15OFFBOOK to save on copies for yourself or your vet. 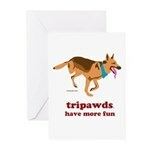 Tripawd Heroes books make great gifts for vet offices and cancer clinics! Save on Custom Photo Books You Create With Blurb Coupon! Or create your own photo book using Blurb’s easy to use design software. You can easily create a Facebook Photo Book with all your favorite pictures of family and friends. And at Blurb, you can now upload your Instagram images and create an Instagram Photo Book. Create memories to last a lifetime with a custom photo book and save with Blurb Coupon Code: 15OFFBOOK. 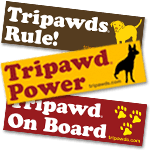 Act now to save on the perfect gift for Tripawd Moms! *Sale Details: Offer valid through May 30th 2012 (11:59 p.m. your local time). A 15% discount is applied toward your product total. Maximum discount is USD $200.00. CAD/AUD $250, EUR 160 or GBP 140.00. This offer is good for one-time use, and cannot be combined with other promotional codes, gift cards, or used for adjustments on previous orders. Get Current Blurb Coupon and Save!